Pages on Cinema: Affleck to play Batman? In what could be the worst news I've heard in a while, Variety has reported that Ben Affleck is likely the next person to take on the role of Batman. A Batman/Superman crossover film is planned for a July 17 2015 release. It also sounds as though Zack Snyder (who directed Man of Steel) will direct the film and is quite excited to work with Affleck. Oh how soon we've forgotten the failure of Affleck's first attempt as a superhero flick in the 2003 film Daredevil. Most of his movies have bombed, whether he is acting or directing. Lately, I think he has become a decent director, but so far he has not proven to be a good actor. We all thought/hoped either Christian Bale would reprise the role, or Joseph Gordon Levitt would take over the role and begin his own slew of Batman films, but apparently they are taking things in a very different direction from Christopher Nolan's Batman films. At the bottom of the Variety article is a poll to gauge excitement for this news. 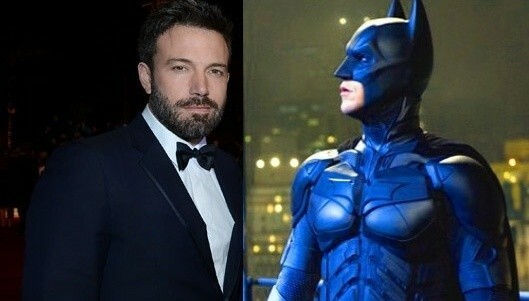 The question, "Do you think Ben Affleck is the right choice to play Batman?" So far with nearly 60,000 votes it's a resounding NO! Nearly 80% are not in favor of the casting.